Many of the homes on the beach in Neskowin are direct owner rentals. If you do your research, we believe you can get more for your money than staying at a large hotel chain. 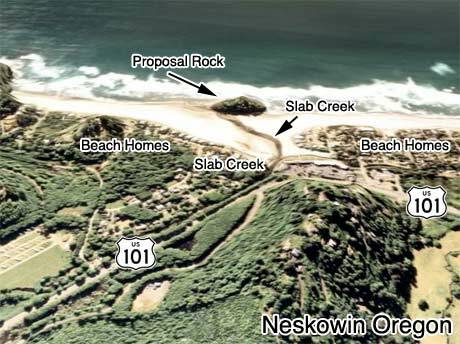 The rental accommodations in Neskowin are located on the large beach where Slab creek enters the Pacific Ocean. The Breakers Beach Houses in Neskowin Oregon is an excellent place to rent a beach home. They currently offer ten different homes on the beach front in Neskowin. Each Beach house offers you a spectacular, unobstructed ocean view and each unit is it's own house. The photo above is a view over the beach front homes looking almost due west.